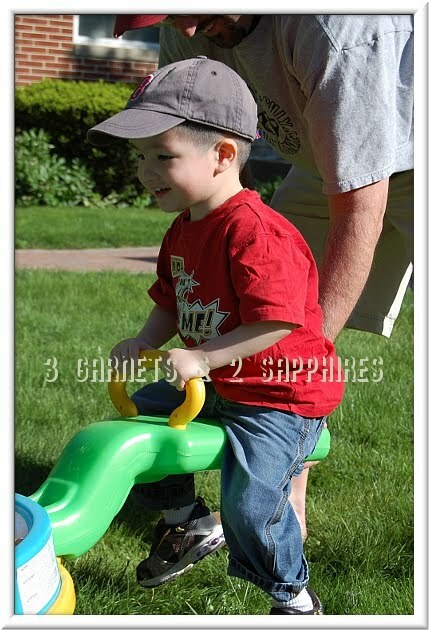 During my search for unique Kid Driven Toys, I came across this most unusual teeter totter made by Little Tikes called the Teeter Ball. Although this toy is recommended for children 3 years old and up, it can hold two children up to 60lbs each. 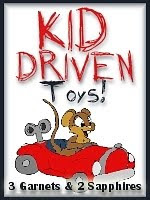 In fact, I think this toy is more suitable for children 5 years and older because it is a very physically demanding toy to operate. 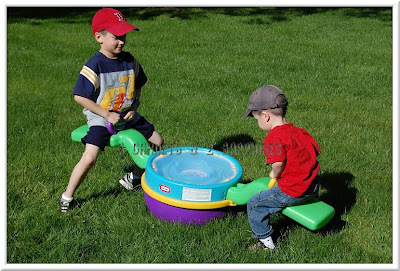 In addition to using their legs to push their side of the teeter totter up, each child must have enough arm and upper-body strength to keep the the Teeter Ball from tipping over. Our 6yr old son is able to do this, but our 3yr old twins are not. Another feature that makes this teeter totter unique is the maze that is built into the base. There are two yellow marbles and two purple marbles that can be moved by the two riders rotating and teetering the Teeter Ball. The goal is to get the marbles that match the color of the handle on each child's side to land in the center of the maze. This game is much too hard for younger children, but our 6yr old and his friends had fun attempting to get their marbles into the center first. The only way our 3yr old twins can ride on this toy is with their big brother on the other side. Our daughter sat opposite of her big brother once. The second her feet left the ground, she decided that this toy was not for her. Her twin brother, however, was much braver. He was unsure at first and tried to keep one foot on the ground. 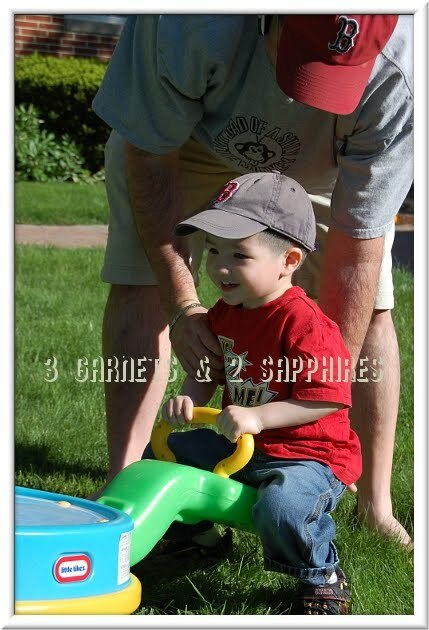 After his father offered to hold onto him to keep him steady, he began to really enjoy going up and down. After awhile, our 3yr old son was able to ride opposite his big brother without the help of his father. He actually had a huge smile on his face the whole time. The only problem with this arrangement is that his big brother is doing all the physical work of making the toy teeter back and forth and of keeping the toy from tipping over. Although it is a tiring activity, it does give our son a great workout. 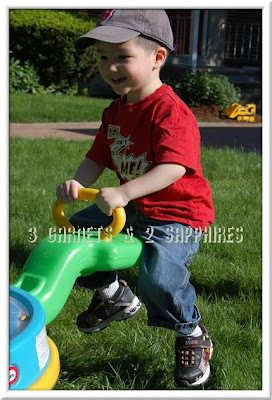 We tried using the Teeter Ball both indoors and out. 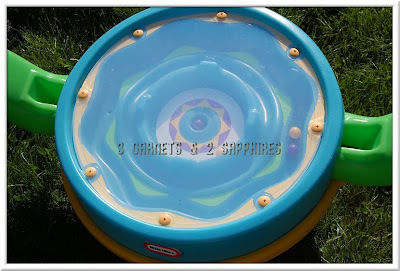 I found that using this toy on the grass is steadier, but is not the best choice if the children want to bounce and rotate. A smooth indoor or outdoor surface is better for rotating. Although this toy is tons of fun for the children, it was not easy to put together. My husband is very skilled at assembly and it took him 45 minutes to finish assembling this toy. He recommends using a powered screwdriver (or at least a ratcheted screwdriver) because the majority of the screws are very long. This toy does come with a pump to inflate the base, which was convenient. Once assembled, this toy is sturdy and durable like most Little Tikes products. You can purchase the Teeter Ball right on LittleTikes.com and at other major retailers, such as Toys R Us. 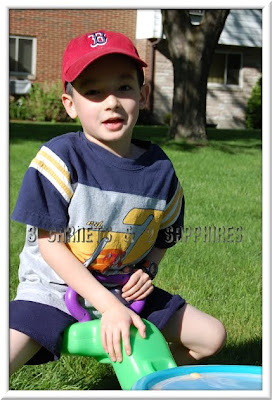 Thank you to Little Tikes for sending us a sample Teeter Ball free of charge to base this review upon.